Those of you who waited long excruciating months for something to happen with Palm and webOS since HP bought Palm last year, you were just rewarded for the loyalty. After HP bragging about its might and innovation scaling capabilities, the HP TouchPad tablet was just announced, and, as far as specs go, it aims at the best. The display is a 9.7" of the IPS-LCD kind, with 768x1024 pixels of resolution, and "EZ-clean" oleophobic coating. That's what we have in the iPad, but the TouchPad's chipset is a dual-core 1.2GHz Qualcomm Snapdragon, which will be one of the most powerful mobile chipsets this year. The weight is 1.6 pounds at 0.54" thickness. The tablet is lacking a rear camera, just 1.3MP front-facing one, which kind of takes a little away from the dual-core purpose, but we are not fond of carrying around a 10-incher for shooting video anyway. For multimedia the slate also carries Beats audio speakers, and a standard 3.5mm jack. The three speakers arrangement – two on the left side, and one on the right - should allow for stereo audio output in both orientations. There is an HP TouchPad version with just Bluetooth and Wi-Fi, while a second version adds a SIM card slot for 3G, as well as a GPS radio. The TouchPad will be available in the summer, and 4G versions are coming further down the road. There isn't a memory card slot, but the slate comes with options for 16 and 32GB of internal flash memory. The RAM memory is 1GB desktop-grade DDR2, twice that of the Palm Pre 2. WebOS is one of the most efficient mobile operating systems out there, so HP claims 8 hours or more of battery life from the 6300mAh juice pack. Palm's inductive charging Touchstone thingy will be available for the TouchPad, as well as a feature called touch-to-share, which will allow you to sync the slate with the HP Pre 3 phone, for example. 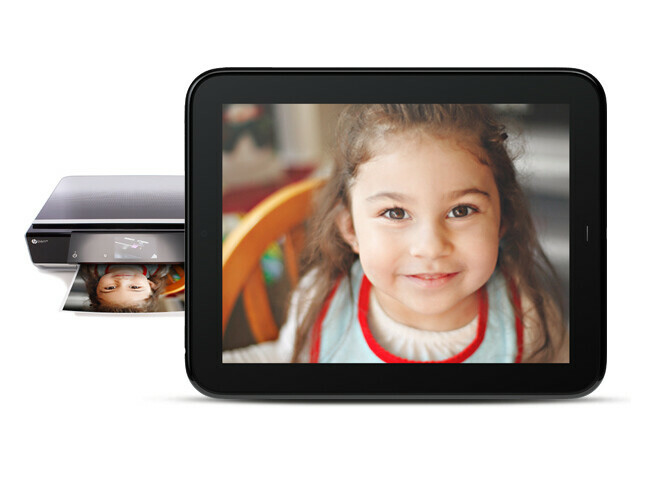 You should also be able to share and stream multimedia through the Touchstone v2 dock to your TV, with the tablet acting as a remote when you take it out. Besides the HP Touchstone dock for wireless charging and syncing, there are a few other accessories available for the HP TouchPad - a slim wireless keyboard (of course), and a handy case. Palm notes that you can charge the TouchPad while it's in the case, if you are so inclined. Jon Rubinstein called webOS 2.1 their "most important version" so far. It combines mutitasking, noifications, the Synergy cloud syncing services, universal search and the touchstone remote charging and syncing technology, and takes them even beyond, adding about 50 new features like VPN, voice dialing, and so on. 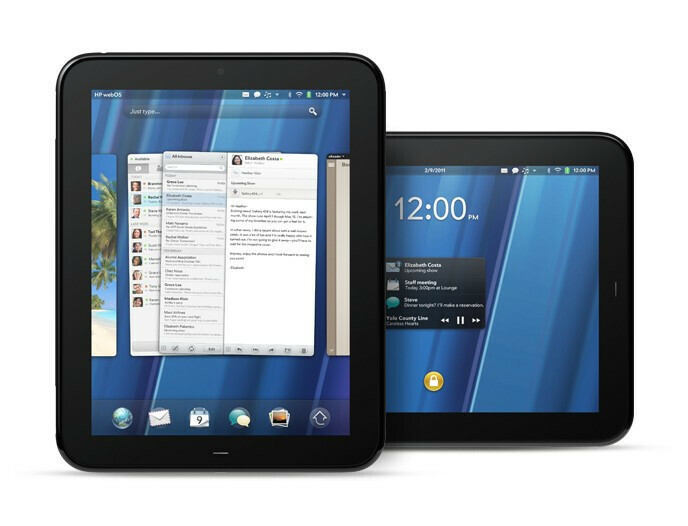 The HP TouchPad will be running webOS 3.0, probably a version of 2.2 for tablets. In addition to this already crazy software, HP Palm has reworked some apps so they utilize the larger screen real estate, like for example the email app, which will be similar to the iPad's. Furthermore, there's going to be full support for QuickOffice, Google Docs, Dropbox and Box.net. The TouchPad is to bring the full web to us thanks to Adobe Flash support, although the exact version of the supported Adobe software was not specified. Here's for hoping it won't be the "Lite" one. A summer release will be far too late in the game. By then, the iPad 2, a plethora of Android tablets and the Blackberry Playbook will be mopping the floor....One would have thought that HP would have learned the lesson from the delayed release of the original Pre. True..!! I've had the original Pre for a while and i gotta admit WebOS is a Powerhouse when it comes to mobile OS... but once you get used to Android and a 4.3" display it's hard to go back. if the rumors for the ipad2 are true, apple is going to shoot themselves in the foot. with all the features that android, blackberry, and even palm are bringing to the table, they are going to cannibalize the ipad2. at this point, unless apple pulls some serious last minute pizazz on the thing, ur an idiot for choosing the ipad over its competitors. wow.... beween the Xoom, iPad2, and this.... I have no idea what im going to get. Right on the money Cornerofthemoon. I thought HP said that they would put and end to the announce-so-far-in-advance-its-irrelavent crap that Palm pulled. Apparently that's not the case. I should have know better than to wait for this announcement, but I was hoping a suitable replacement for my original Pre would be on the shelves in a month or so. Silly me, Android here I come. True but if Apple is just adding: dual camera and faster processor to the ipad 2... the HP Touchpad has a pretty good chance. I can't wait to see what the Homebrew guys are gonna come up with for this bad boy !!! If you'd like to learn more about the device, visitwww.hptouchpadnews.com to read some more interesting stuff and reviews. It's like a one stop place for news and reviews on the HP TouchPad - great source of information, especially to help make your buying decision before the products official in store and online release date. 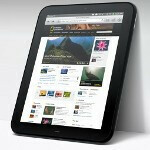 Get the latest HP TouchPad Review , News and Specs.